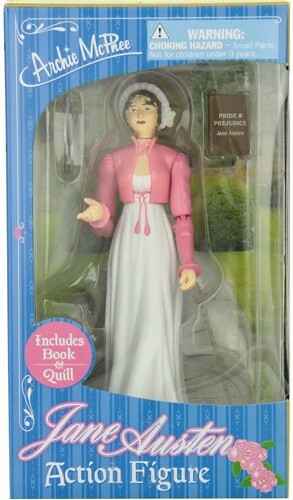 Own a female action figure that changed history! 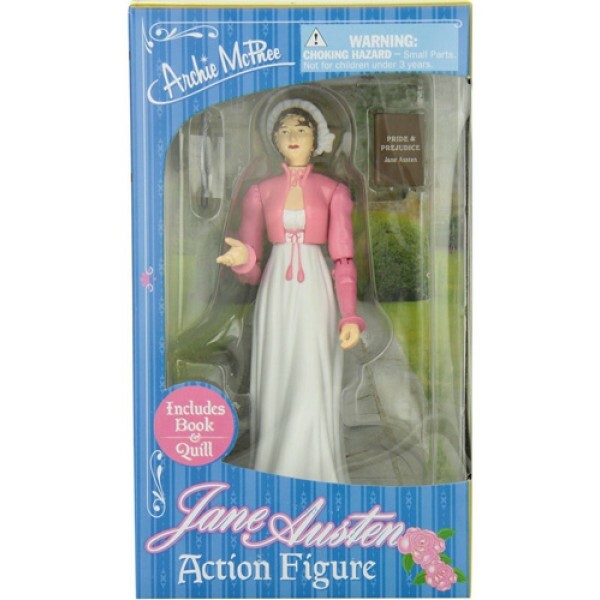 Jane Austen was one of the greatest English novelists in history. Despite a rather sheltered life, she was able to capture the subtleties of human interaction so perfectly that her novels continue to be immensely popular to this day. 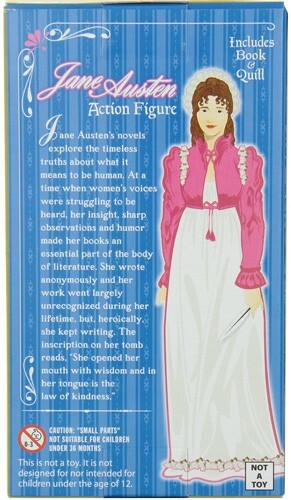 This 5-1/4" (13.3 cm) tall, hard vinyl action figure comes with a book (Pride & Prejudice) and a quill pen!